I know it’s a bit past Thanksgiving, but I did make these the week after our delicious meal! My sister had copious amounts of leftover mashed potatoes that she didn’t want to keep and my mother in law delivered us a LARGE package of leftover mashed potatoes as well. It seemed we had them coming out our ears! Our family doesn’t eat potatoes regularly (unless they are sweet potatoes) so having this many on hand was a bit overwhelming. I HATE throwing away food and even though we had more than enough I still didn’t want them wasted. So I spent a lot of time thinking of how we can mix them in soups, eat them for dinner and breakfast and maybe even lunch too! My #1 son, Tonchi is pretty sensitive to food consistencies and mashed potatoes is one of his “no-nos” He just can’t do it. One bite and he is gagging at the risk of losing the rest of his dinner. So I had to throw that into the mix to figure out a way for him to eat them as well! 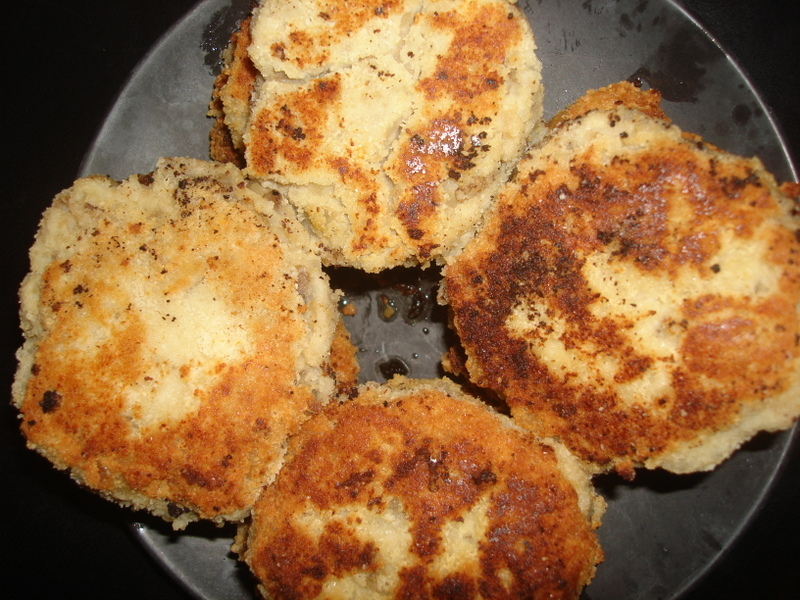 So… if you can make hash brown patties, why can’t you make them with mashed potatoes? The consistency would be a little different, but wouldn’t it work? It did! And not only did it work, but they didn’t take too long to make, held up well, reheated well and tasted fantastic for dinner or breakfast! 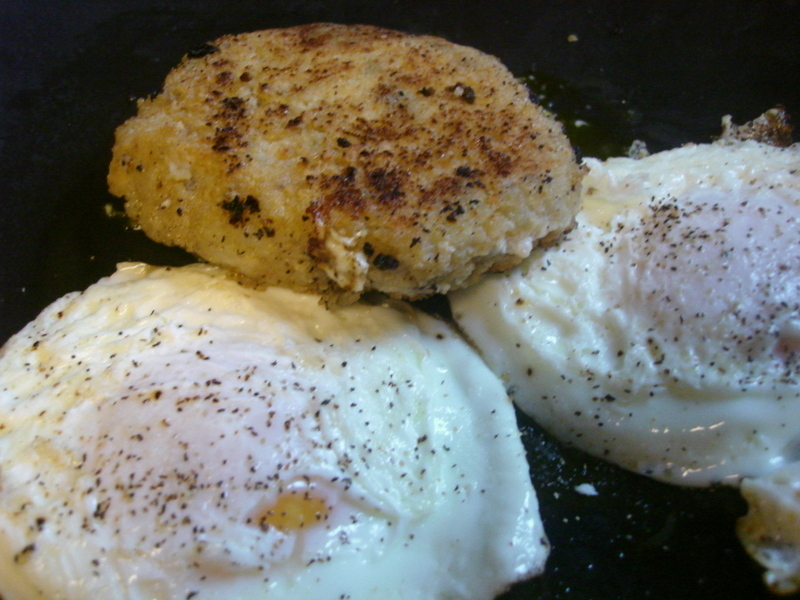 For dinner we had sausages, roasted veggies and these mashed potato patties, then in the morning we had them topped with a sunny side up egg! I will say breakfast was our favorite! It tasted amazing!!!! AND it kept the kiddos full till lunch. That almost NEVER happens around here. It seems like 5 minutes after breakfast they are usually ready for a snack! Not that morning! So… even though we used post- Thanksgiving potatoes, I’m assuming most of those are gone by now, and if they aren’t, I probably wouldn’t eat them… unless they were frozen! But maybe you can give this a try with post-Christmas mashed potatoes… or just because! Add the eggs, salt and pepper to taste, coconut flour and arrowroot. Mix well. Fry in the coconut oil on medium heat until outsides are crispy and the inside is soft and warm. We LOVE these and are definitely planning on having them again! I’d love to hear what you think and if you try them out!